How do you wear Hair Ties and Lassos? How to wear locs sleeves? They simply slide onto the hair easily. You would take a loc that is a bit larger than the size of the sleeve and thread it through the sleeve and allow the jewelry to hang naturally. It should fit snug. If you are having a time threading the hair through the sleeve you can get a tool from a beauty supply store that is used to put beads on children’s hair to get the loc in the sleeve. I use a light gauge wire so not to wear to heavy on the hair. You can squeeze the wire at the top just a little for extra hold if needed. If you remove the loc jewelry that you squeeze at the top, you will need to use a round object that will fit inside the sleeve to reshape the sleeve so you can slide it onto another loc in easier. Will the sleeve jewelry fit my locs? Locs are naturally diverse. Within an average head of locs there is usually a variation of small, medium and large locs. With the Loc Accessories Jewelry, there is usually at least one loc that any of these adornments can fit on. We do have a good selection of all sizes: small, medium, and large that you can choose from. The sister loc jewelry are designed in two styles. 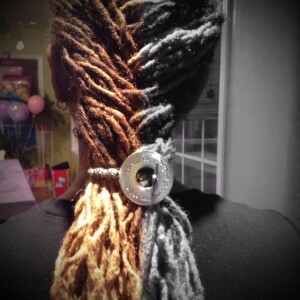 One style comes small enough where you only need to use about three or four sister locs to make it fit. The other style will clamp on one sister loc. 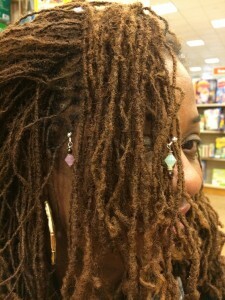 Sister loc jewelry is very light to accommodate the fragile locs. How do you wear locs jewelry? One way is to slip the ring part of the loc jewelry onto your loc; using a sewing needle and a piece of thread, close to the color of your loc, sew it onto the loc. The thread should blend with your loc and not be noticeable. You can carefully remove the jewelry at any time with something such as a seam ripper that you can get from a fabric store. If you have a pin up hair style, you can use a bobby pin to adorn the jewelry in the hair. This option isn’t just for locs, it’s also great for any hair type to include perm hair. How do you care for the wire jewelry? All metals are pewter and tin based if they are not sterling silver or copper. All are high quality casts and last well. The gold tones are apt to discolor with time. What cause the discoloration are products in the hair, perspiration – salt, and other excretions from the body. In most cases, the beauty and integrity of the adornments is maintained. Putting one coat of clear finger nail polish will help preserve the color longer. Exposure to moisture and oxygen may tarnish copper. Oxidation also occurs due to the UV rays found in sunlight. Although there is no permanent solution, there are a few things you can do to maintain and preserve your copper jewelry. Rub the copper with a brand name tarnish remover. Use a damp cloth and allow it to dry. Patiently buff with a soft rag to bring new life to the copper. You can also apply a natural cleaner. Use a natural cleaner, like a paste made with moistened salt and vinegar or lemon juice to clean and brighten the copper. How do I care for pewter jewelry? Pewter is a traditionally silver like metal alloy consisting of 85% to 95% tin. The remaining balance is made up of copper and antimony. Pewter is a bright and shiny metal that is very similar in appearance to silver. The jewelry is guaranteed lead-free. When not using for an extended period of time, store your pewter jewelry in an anti tarnish pouch or sealed bag separately from other jewelry. To recapture the exquisite original luster of pewter wash in hot water using liquid soap and rinse in almost boiling water and dry immediately then polish with a soft cotton cloth. Is it okay to wash your hair with the hair jewelry in it? Yes, soap and water is good for it. You do not need to take them out before washing your hair. If the loc jewelry comes out in the wash, simply replace it afterward. 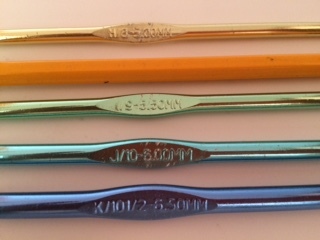 We recommend that you remove the Hair Jewelry if you are doing a complete coloring. For touch ups it’s usually not necessary. Are Loc Jewelry accessories only for people with locs? No, that’s one of the great things about my pieces. You can wear them on locs, braids, or twists. Better still; some items can even be worn on hair that is pulled up into a style. It doesn’t matter if it’s natural hair or perm hair. You can use a bobby pin to secure the jewelry in place. If you have any questions about whether a piece would work in a pin-up style, please send an e-mail. But all of the Loc Jewelry will work in all pin-ups as they have a ring on the end. You will need to use a bobby pin to secure the loc jewelry in your hair. Are Loc Accessories only for people with long locs? 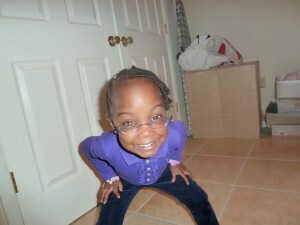 No, our pieces can be worn on all loc lengths. If you have baby locs and are ordering a loc sleeve, please let us know in the comments section of your order so we can adjust the length of the sleeve. Why doesn’t my item look exactly the same as the one in the picture? All items are handmade/handcrafted. As a result there are slight variations in every item which makes each one unique. No two are exactly the same. But there will not be a noticeable difference to the eye. Also, photography online will appear slightly different from computer monitor to computer monitor. This has to do with individual variations in display settings on different monitors and is completely out of our control. Yes, please refer to the “custom order” page. Promotional code must be entered at checkout. Offer cannot be applied to previous or pending/back order purchases. Offers cannot be combined with any other offer. We reserve the right to cancel any order due to unauthorized, altered, or ineligible use of discount and to modify or cancel this promotion due to system error or unforeseen problems. Offers do expire and can be limited to a one time use. I would like to sell your jewelry in my store, salon. Do you offer wholesale prices? When an item is out of stock do to popularity it will appear in your cart at check-out as a back order. Most back orders take 14 days or less to ship. Simply proceed with your order confirmation like any other order. If you decide you do not want the back ordered item and you would like to make another selection simply remove it from your cart before confirming your order. If you would like your back order purchase sent to you express mail when it is ready simply choose express shipment when placing your order. When your back ordered purchase is ready it will then be sent to you via express mail. Why should I register with Loc Accessories? Registering is fast and simple. It will save you loads of time when processing your future orders. We also offer a terrific feature such as “Send Page to a Friend”. Why should I sign up for emails? We offer great perks for joining our mailing list, plus you’ll receive exclusive store promotions. Sign up for our email and as a thank you gift we will send you a coupon good for $5 off your next purchase of $25 or more. Receiving our emails is completely optional. If at anytime you do not want to receive our email promotions simply unsubscribe.